High School DxD Hero Episode 3 was released a few days ago, I finally got some time to watch and review it. The episode started off with a nice flashback to explain who the assailants in their Kyoto trip might be. They were talking about some dudes from the Hero Faction of the Chaos Brigade. It would have been better if they added this part in the timeline as it was supposed to be, instead of just filling it in as a background for what will happen. That way we could have gotten to see the villians before they actually arrived. And would have made for a better connection, since they explained who it is anyway. Although, I do believe that there might be some twist to the story. And, in reality, the people that attacked them then do not necessarily need to be the main antagonists in this arc. Upon arrival to Kyoto, Issei and his harem of ladies fell into an ambush by the fox people. The fox group attacked them because they assumed it was them who had kidnaped one of their own. Few days before Issei and his harem of ladies joined up, Yasaka was kidnaped. Yasaka is the fox leader, she is called the nain-tailed leader and is very praised. Before anyone says that this reminds them of Naruto. I just have to say that for those who do not know. Nine tails is a fox spirit, that originates from Chinese mythology. And, it is also very common in other Eastern Asian countries. Yasaka is the nine tailed fox, and also the leader of the Yokai. Yokai are demons originating from Japanese folklore. One of the traits of the Yokai is their animal features. Without any clues, their only assumption goes to Heroic Faction of Chaos Brigade. They think that they are the ones who kidnaped Yasaka. 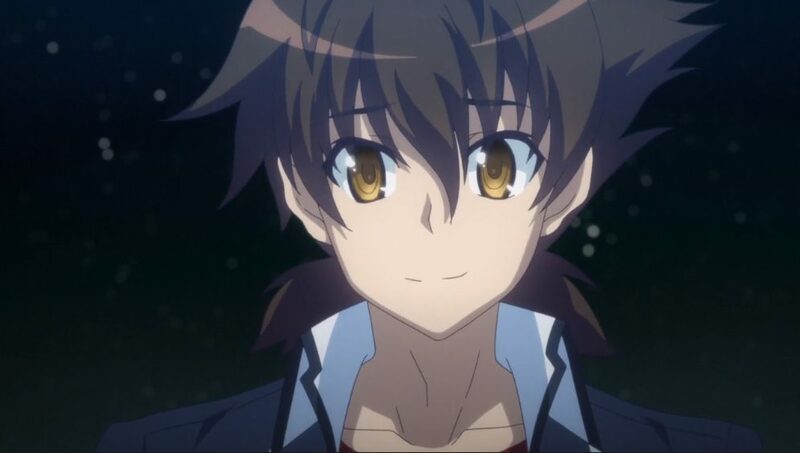 Through the episode we see a lot of fanservice, especially from the church trio that joined up with Issei. However, it was broken up by Rosweiss sensei. After that fanservice was over, we finally got a glimpse of what will really happen. But before that, I’d like to mention the Togetsyuko Bridge. A 155-meter long bridge, it is one of the tourist attractions of Kyoto. There are many rumors about the bridge and stories, and it dates back all the way to Kamakura period. I would definitely love to visit and take some pictures. Anyway, let’s get back on track. 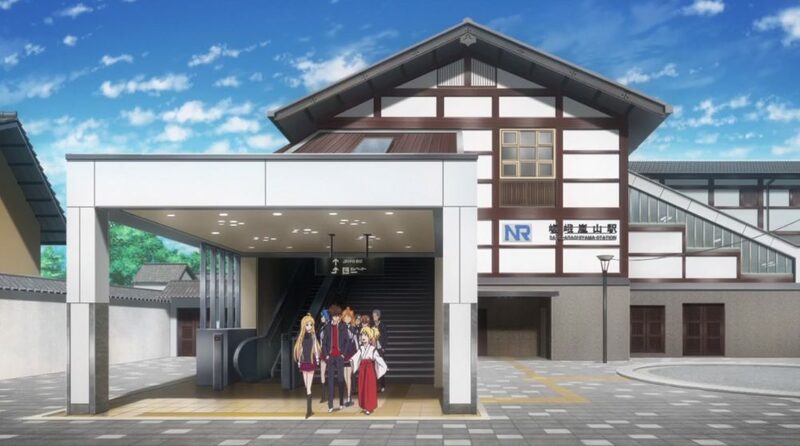 Although the bridge is pretty nice, Issei and his harem squad got ambushed on it. Issei and Harem squad were cut off from everyone else with Dimension Lost. Dimension Lost is a top-tier Longinus, one of the 4 most powerful ones. If you don’t know what Longinus are, they are the top sacred gear that have the ability to kill the God. This sacred gear is pretty badass compared to Iseeis boosted-gear which is mid-tier. At the end of the episode Cao Cao, who is supposed to be pretty badass. Even though I won’t say anything else besides this. I wonder how Issei will get out of this predicament. But we can safely assume that his plot armor will somehow protect him. If you liked reading this you might find our Hinamatsuri review interesting.